Thankfully, we do not encounter leprosy in our culture. It can therefore be difficult to enter into the real depth of today’s readings. We have to understand that leprosy meant exclusion, rejection and the end of “normal” life. For your leprosy to be cured would be like being given a second chance at life. What is the cause of exclusion and rejection in our society – or even in the Church? Who are those who must “live apart”? 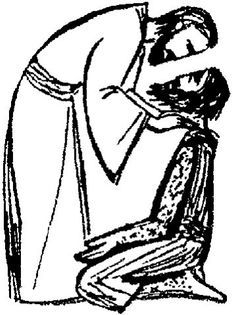 And how can we put into effect in our day those most touching of the words of Jesus, when asked if he wants to cure the leper: “Of course I want to!”? Contemplating exclusion and rejection in our world can be hard work: Saint Paul guides the way: the Christian path is not to work “for my own advantage, but for the advantage of everybody else”. This reading is NOT given for us to emulate, but as the background to today’s Gospel: there should be a “This is what they “used to do” tone in your voice. (The reason for this is that Jesus has completed the Law of Moses, and the Gospel we will listen to in a moment gives us the way he wants us to deal with leprosy.) This, though a simple reading on one level, can be quite hard to deliver: it describes unpleasant things, and you must be careful not to sound revolted when reading about “swellings or scabs or shiny spots”. Similarly you must avoid sounding humorous when crying out “Unclean, unclean!” – it’s the sort of phrase that can cause a nervous giggle in Church. You have to keep before you the reality of the situation, and the horror of a disease which eats away at your flesh. Be careful not to sound too judgmental: the uncleanness of leprosy was not moral, it was practical (though the Psalm implies that “leprosy” and sin can be viewed in very similar terms): leprosy is a contagious disease. People living closely together in a camp have to be very careful about such things. This reading does not state or imply that people stopped caring for their family and friends with leprosy! The best way is to be as matter of fact as you can: give the information, and let the congregation take it in. This is a simple reading, full of basic idea – thinking about others, imitating Jesus Christ, living out the faith. Keep your proclamation simple, and especially allow the short sentences to stand out (so often in Saint Paul’s letter we have long complicated phrases: allow the straightforward message to come our clearly today). In the first line there is a wonderful rhetorical trick – the repetition of the word “whatever”. Let your tone rise during the three “whatever”s, and then drop down firmly onto the “do it for the glory of God.” Try and create an atmosphere where people will think about the things they do. Emphasise the “never” and the “at all times”. Take special care to proclaim clearly the line “I try to be helpful to everyone at all times”. There is a profound statement, worthy of reflection, in the words “…for the advantage of everyone else” – let it resonate in Church for a while so that people have time to take it in. This may be a short and simple reading, but there’s an awful lot of practical stuff in it! 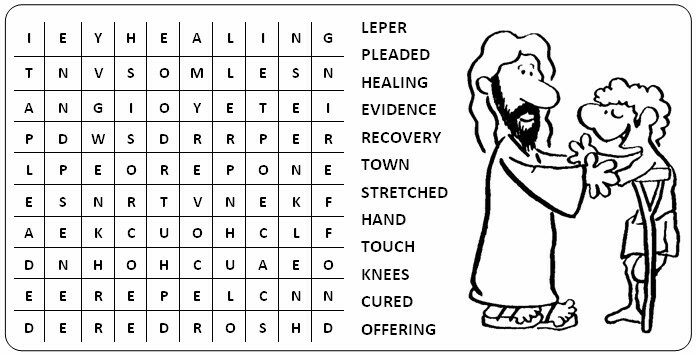 "The leprosy left him at once and he was cured."